It’s a tantalizing number, but it’s just that. If the iPhone maker hadn’t bought back so much stock, its market capitalization would have reached 13 digits long ago. Then again, stripping out its cash to value the business alone, there’s still some way to go. An iPhone X is seen on a large video screen in the new Apple Visitor Center in Cupertino, California, U.S., November 17, 2017. Apple on July 31 reported that revenue totaled $53.3 billion in the quarter ended June 30, up 17 percent from $45.4 billion in the same period a year earlier and ahead of sell-side analysts’ mean estimate of $52.6 billion, according to Thomson Reuters I/B/E/S. Earnings rose 32 percent to $11.5 billion. At $2.34 a share, earnings were 16 cents higher than the mean estimate of $2.18. 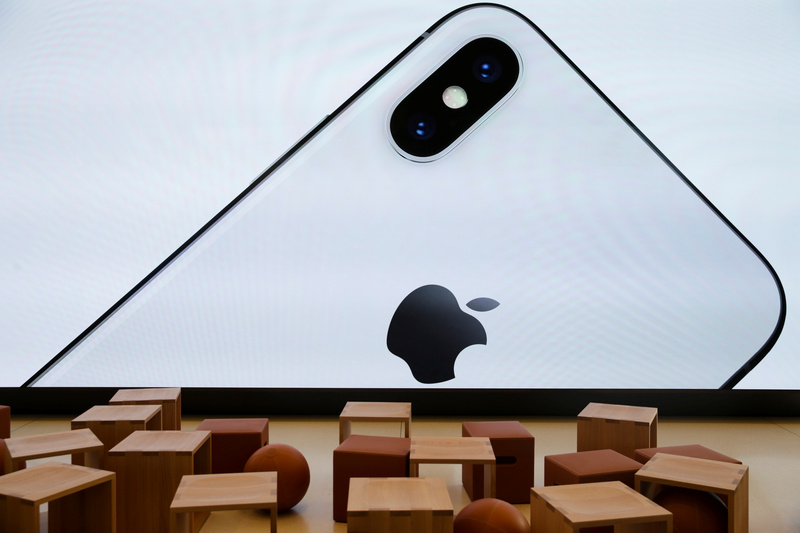 The company sold 41.3 million iPhones in the latest quarter, compared with 41 million in the same period a year earlier. At 12:52 p.m. EDT on Aug. 1, Apple’s stock was up about 5 percent at $200.27 a share, giving it a market value of around $985 billion.